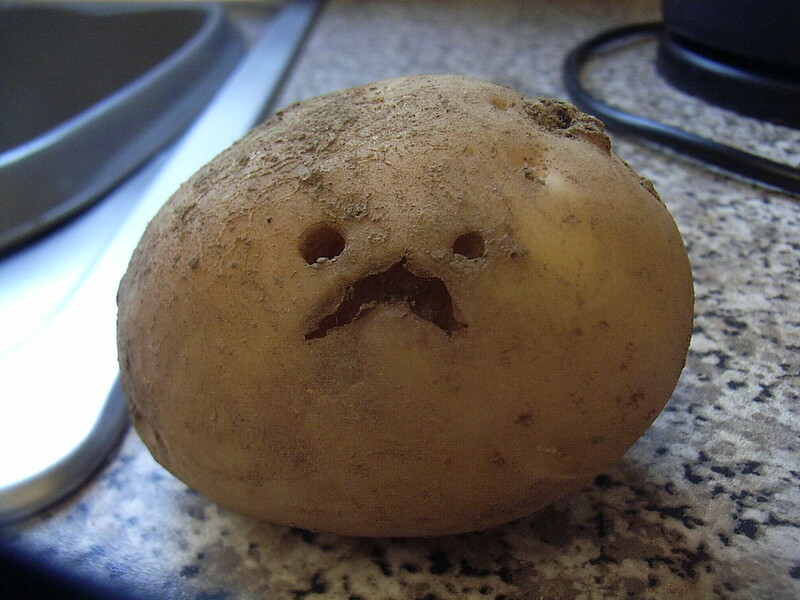 I like potatoes. I have Polish and Irish blood, so maybe it’s in my DNA. China has a number of good potato dishes, such as the staple 酸辣土豆丝 (sour and spicy potato strips). But it seems like some of the best ones get no love from the local population. The original Chinese dish was 椒盐土豆 (“salt and pepper potatoes”), and it was good, but I asked them to make it spicy (spicy version pictured above), and it was so much better. Really amazing. Years ago I had an ayi from China’s Dongbei (northeast) region, and she learned to make garlic mashed potatoes (with no butter) that were awesome. But Chinese people don’t normally eat that. That first one looks great! In the Chinese mind, potato remains a vegetable and not a starch. I cringe whenever I see undercooked shoestring potatoes served to accompany steamed white rice. I think there is something though to the fact that rice is simply more productive in terms of calories across most of Jiangnan. The potato and Corn (Zea mays) are latecomers to a very long established agricultural model and this, and Han conservatism will keep it on the margins despite Beijing’s recent declaration of it as a starch staple, which inadvertently will likely backfire. This is an adorable post, John! My first meal out in China, at a Beijing-style place in Guangzhou, included this fabulous pile of deep-fried 香辣土豆丝 that stood a full ten inches. I never found that dish’s equal at another restaurant. There are a number of potato staples in the south west, particularly Yunnan, where arguably the potato was more important, because it grew well in mountainous areas and supported higher populations than native starches. Apart from a French fries-style dish, and mashed potato with chilli (and other variations), there is ganbei yangyu si, yangyu baba (bings), and yangyu mengfan. All popular and we’ll entrenched in eating culture. Thanks for your post John – it brings to mind my ChinesePod days and the good people who supported each other learning Chinese. You can find discussion about these dishes as well as the potato in China more broadly if you google ‘Potato Atlas Chinesepod’ – I started that discussion in 2010! I was intrigued by the many different words for potato across China. I think we came up with 28, without getting into sweet potato. The most common word for potato in Yunnan is yangyu. Mashed potato is a common dish in Yunnan, Kunming, or was when I lived there, leaving around 9 or 10 yrs ago. Ask for 洋芋泥 or 老奶洋芋 . Dongbei is the best place for potatoes. 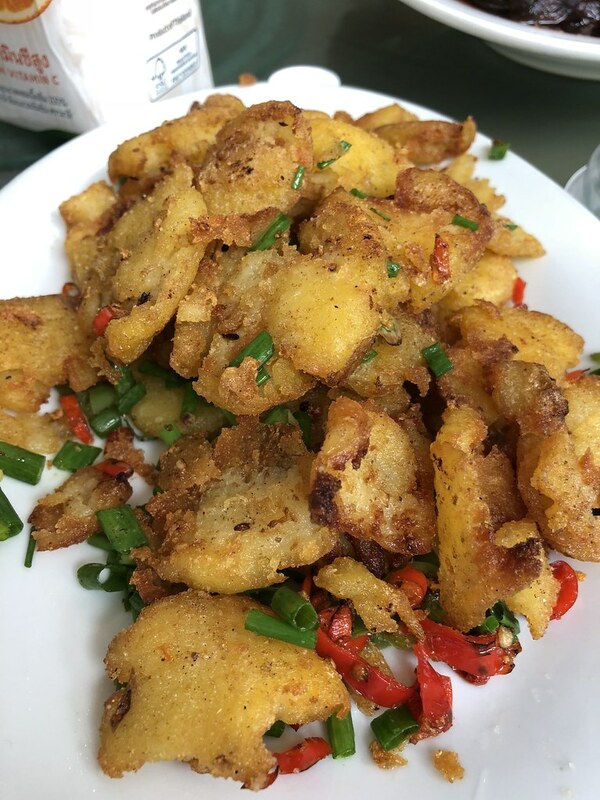 地三鲜 (Di San Xian), three earth treasures – potatoes, eggplant and green peppers is one of my all time favorites. I also love the mashed potatoes 土豆泥 (tu dou ni). The direct translation as “potato mud” makes them even more fun. I don’t know how I’ve missed 椒盐土豆. Sounds delicious.